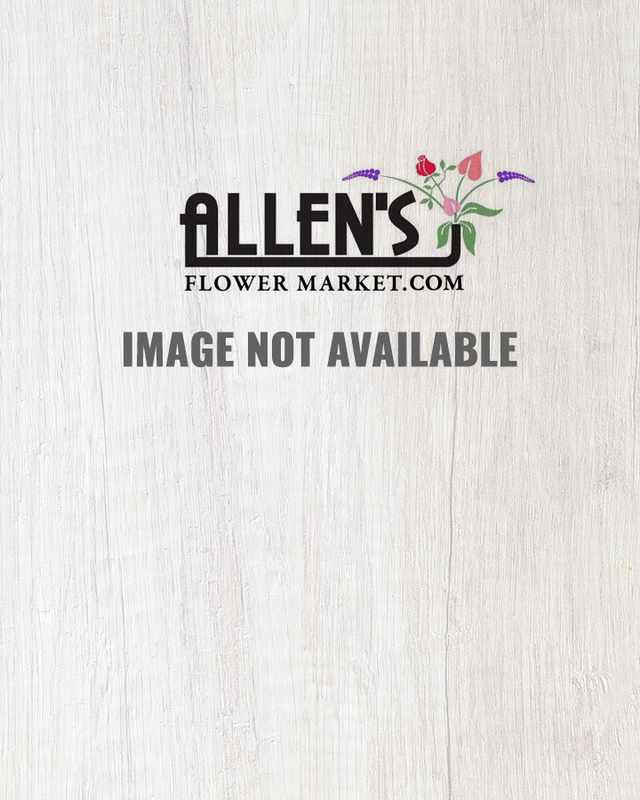 The expert floral design team at Allen's Flower Market created this stunning floral design. They began with beautiful pink and orange roses. Then they added full bloom, green hydrangea and yellow cymbidium orchids as an accent. They didn't stop there. 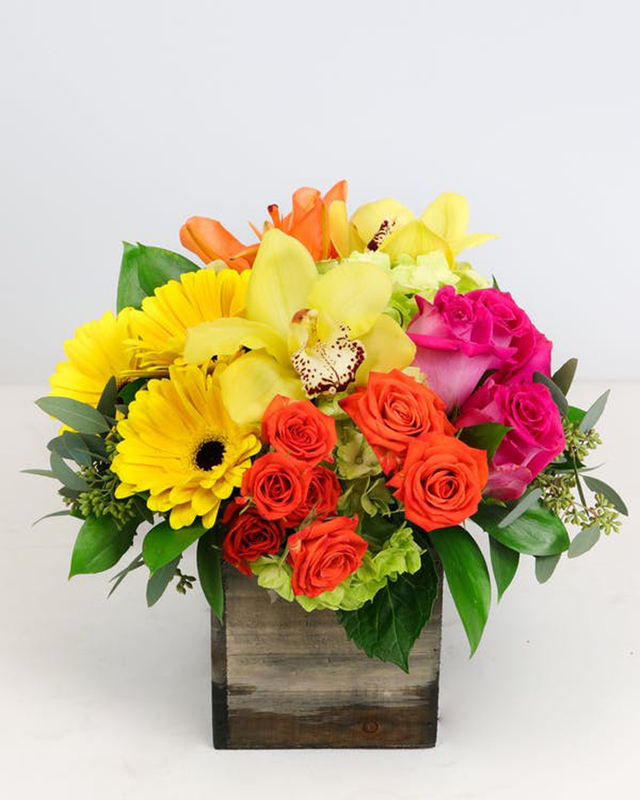 Our staff dropped in yellow daisies and stunning orange lilies to add in more color. 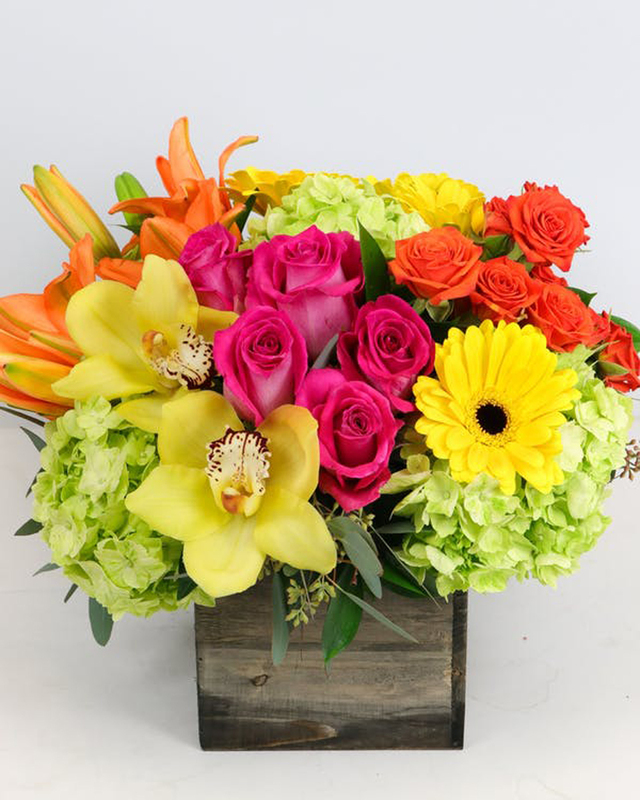 All of these gorgeous blooms were expertly placed into a stylish vase.